The achingly cool Bikini hotel Berlin was home for a city break last weekend, where we were given an exclusive preview of Joico’s latest product innovation – Defy Damage. 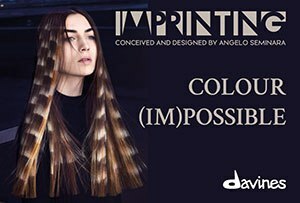 We loved meeting Richard Mannah, international guest artistic director for Joico, who flew in from NYC especially to demo the simplicity of the range, and explain the breakthrough Smart Release technology, plus key ingredients inside. Over drinks in the Monkey Bar (pictured above) we discusseed the buzz around this fab new range: Defy Damage promises not only to repair damage but to prevent it from occurring in the first place. Clever! The ProSeries 1, the bond- protecting colour optimizing spray is a true innovation in the hair industry – a time-saver for colour services and blow-outs, making colour results better, as well as protecting the hair. Pro Series 1&2 work beautifully with any hair colour and lightener to optimize product performance and provide powerful damage protection. In two easy steps, they protect and strengthen hair bonds – before, during and after every chemical service – helping to ensure the healthiest-looking hair possible…and stunning results you have to see, and feel, to believe. The at-home system protects all hair types from the ravaging effects of daily heat styling, UV exposure and environmental pollution that lead to dry and dull hair. The secret behind this true breakthrough in start-to-finish damage protection is in the key ingredients: Arginine, Moringa Seed Oil, and a Protective Lipid. Beyond this there’s the newSmart Release Technology – a one-of-a-kind liposome delivery system that packs a punch by providing a trifecta of healthy-hair ingredients that continuously release Rose Hip Oil, Arginine, and Keratin – repairing, strengthening and protecting the hair from the cumulative effects of daily styling. 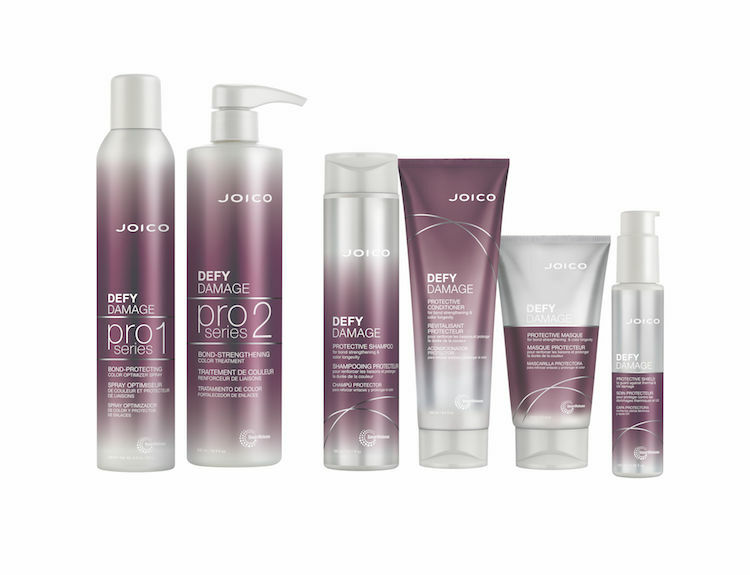 Defy Damage ProSeries contains a higher concentration of the new Smart Release Technology from JOICO.